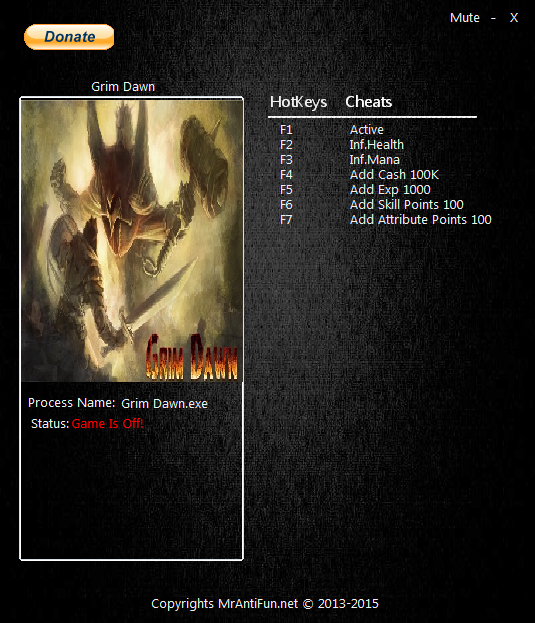 In this article you can download Grim Dawn cheats. This trainer +7 has been created by MrAntiFun for game version 1.0.7.0 . All cheats on our site you can download without registration, so this hack available for download free. With this trainer you will get the advantage in your game. But first, a bit of information about the game. 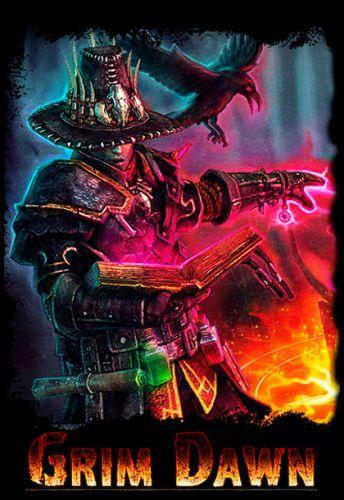 Grim Dawn is a Hack ‘n’ Slash Loot’em’Up ARPG developed by Crate Entertainment. The game takes place in Cairn, after the self-titled Grim Dawn event. Humans are almost extinct, and largely spectators of a war between two otherworldly races, the Aetherials and Chthonians. One race is trying to use human bodies for resources, and the other is trying to destroy us all to prevent that from happening — such a happy medium for humans to be in. Face extinction, or alternatively, to stop the extinction, become extinct.